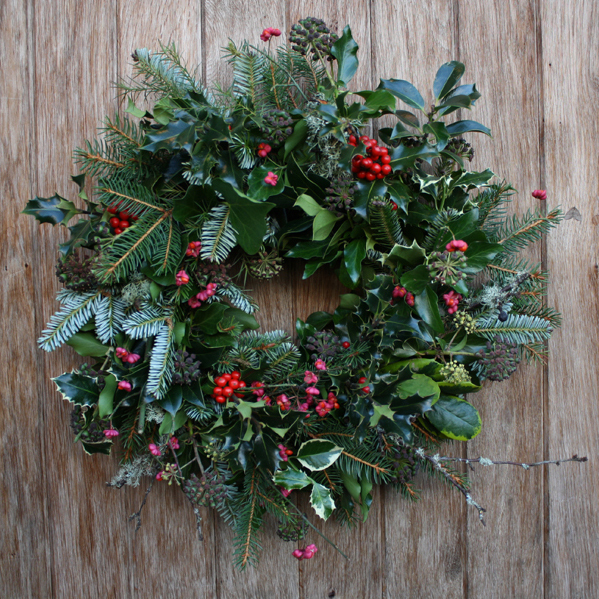 Join us on December 4th at 7pm in our Yealmpton cafe when Riverford’s head gardener Penny Hemming will show you how to make a beautiful Christmas wreath! It promises to be a fun and festive evening. We’ll have a glass of wine, a delicious Ben’s Farm Shop mince pie and you’ll be able to make a stunning wreath to take home and hang on your door. All materials are included in the price, and we’ll offer you a 10% discount on our scrumptious Christmas foody treats while you’re there! So do join us on the 4th December. It’s £25 a ticket. You can book online here or book and pay at any of our shops. This entry was posted in Events, Shop News.